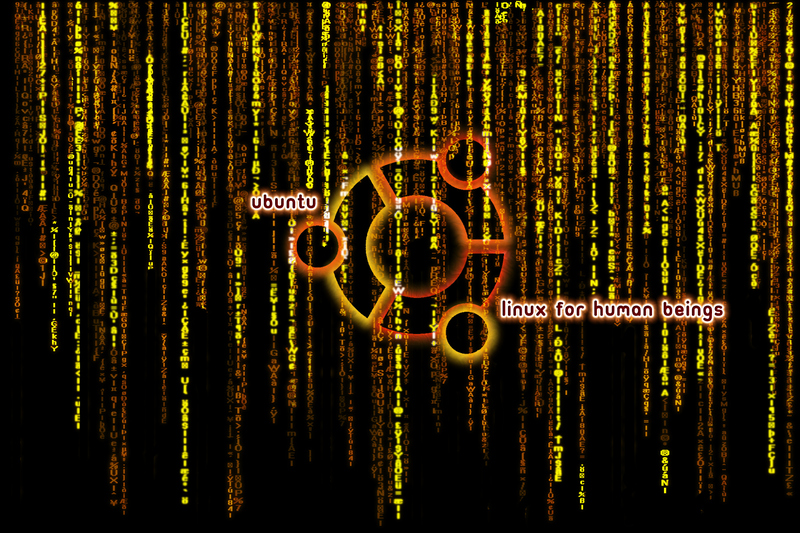 A desktop wallpaper for Ubuntu, one of my favorite Linux distributions. 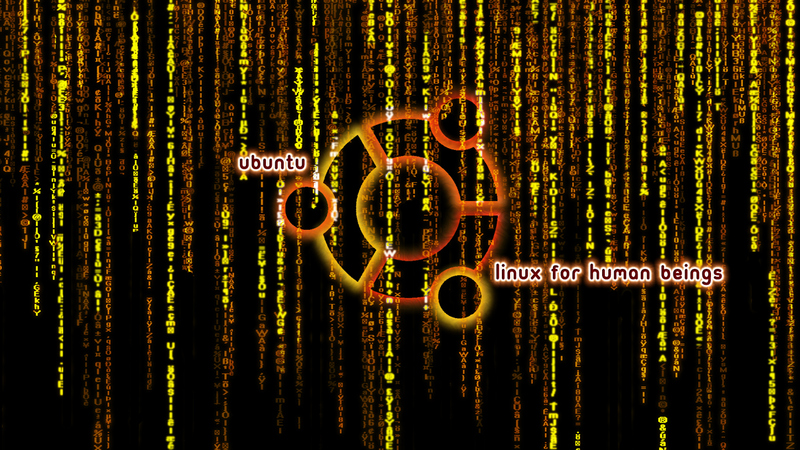 I made the Matrix falling text in Photoshop using real code. 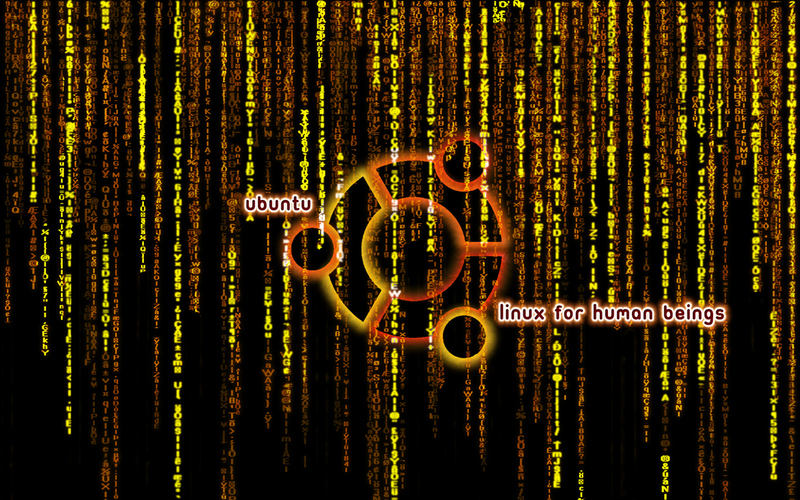 In use on my Compaq Presario laptop, dual-booting Ubuntu and Crunchbang Linux. 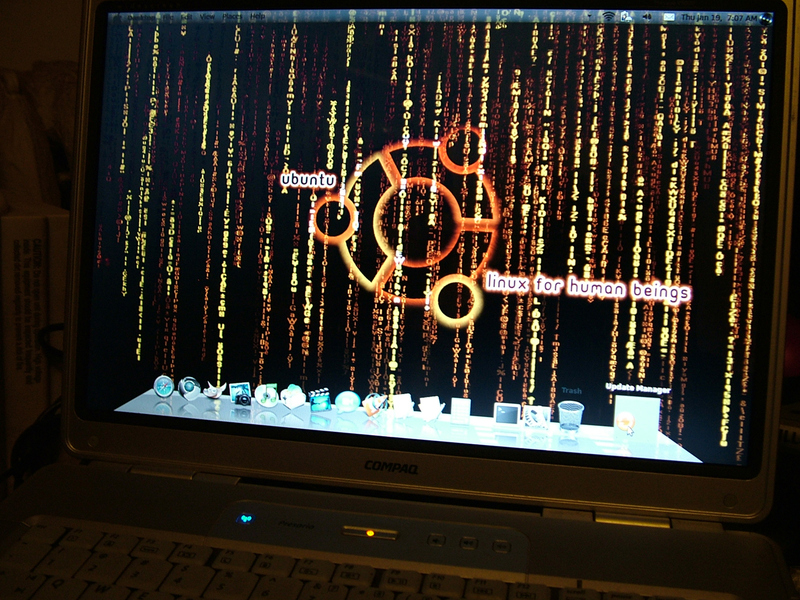 I've skinned Gnome to closely resemble OS X with a fully functional dock and dashboard.